Granted on Tuesday by the U.S. Patent and Trademark Office, the simply-named “Electronic accessory device” patent suggests how an iPhone, iPad, or other device could be augmented into a MacBook-like device. Effectively a peripheral, the shell would require an iOS device to be inserted in order to function, effectively extending the smartphone or tablet’s usability into the realm of notebooks. AppleInsider previously reported on the initial application for this specific patent, which was filed with the USPTO on September 20, 2016. The shell is intended to appear similar to a MacBook, complete with keyboard and aluminum enclosure, but with sections missing in order to accommodate a mobile device. For an iPhone, the trackpad area would be hollowed out for the device to be inserted, while the iPad version would eliminate the display, with the iPad itself becoming the “notebook” screen. 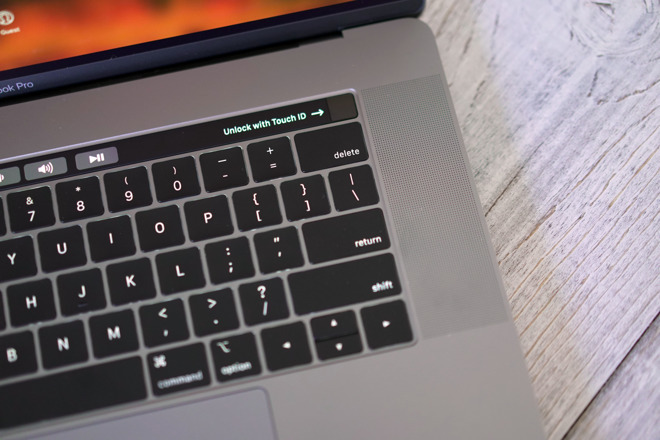 Not only would it act as a host, the iPhone or iPad would also work as a touch interface in its own right, with the iPhone behaving like a trackpad and the iPad becoming a MacBook’s touchscreen. So far, Apple has not moved down the road of combining its iOS and MacBook lines in this way, and there is no sign this being changed anytime soon. It is likely the company is keen on keeping the product lines separate, while those wishing to turn an iPad or iPad Pro into a notebook already have many keyboard accessories and cases on the market that can provide similar functionality, such as Apple’s own Smart Keyboard lines.